Lemaire is a Paris-based house designed by Christophe Lemaire and his partner, Sarah-Linh Tran. He was born in Paris, and spent some time in Senegal as a young child before returning to France. Christophe learned his craft through internships at Yves Saint Laurent, Thierry Mugler and Christian Lacroix. He launched is own label in 1992. Enjoying considerable success in Japan, he went on to become artistic director at Lacoste between 2000 and 2010, before replacing Jean-Paul Gaultier as artistic director for Hermès' ready-to-wear women's. His partner, Sarah-Linh Tran, is Studio Director of the brand, and co-designs the womenswear. He returned to his own label after a four-year hiatus from 2007, and had been showing menswear and womenswear under the label 'Christophe Lemaire', alongside his offerings at Hermès. He has decided to return his attention to it fully, with his last collection with Hermès being S/S 2015. He has since rebranded the house to 'Lemaire', to reflect the collective, independent project led by both Christophe and Sarah-Linh. Bon Magazine, 2014 - great read! Thanks to @sipang, @Bam!ChairDance, @Parker, @Watashidake, @nicelynice and @gettoasty for your contributions past. excellent. merci naka. Bon article is great. Great to see someone snapped up that shetland on thecorner, that price was too good! ^Add Carson Street Clothiers (they had a pretty steep discount, too btw). Surprised SSENSE will be carrying Lemaire, but it may just be fore one season depending on how well it sells .. The Lemaire website/shop is live! Looks like it's just pre-orders for S/S 15, available from the 5th of March. Site still a bit buggy but I assume they'll be working through it. Lemaire has consistently good photography/art direction. really like the look/feel of their site. Am I the only one who doesn't like the flap pockets on the new Kaftans? Yeah, the old pockets were so much better imo. The whole appeal of it to me is the lack of unnecessary details to disrupt the beautiful draping and the new pockets kind of do that. 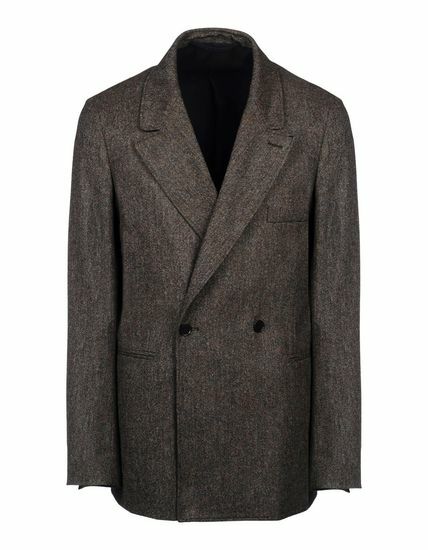 I do love the herringbone tweed though. I need to stop looking at it or I might buy it. I probably won't preorder anything from SP but I am going to get some of the tees off the new Lemaire webstore. I just received the 5-pocket pants in matte black today. I normally go for a size 46 in pants but since the pleated trousers fit me a bit loose and SP only had a 44 I took the risk. Luckily they fit perfectly. I'm definitely going to be picking up more Lemaire jeans as I've never had a pair that was so comfortable and flattering. I'm sick of low-rise skinny jeans. Wow, Ssense finally picked him up. I think it looks pretty awesome either way, but you're probably right. Where are you picking up the Maxi coat from? I think I'm going to pick up those ivory jeans in the look with the Maxi coat. I don't have any white jeans and figure I might try it out.